In Migrainism Part I we learnt that it is wrong to conjure up automatically the image of a menopausal spinster knitting mittens for her 12 cats when someone mentions the word migraine. It is wrong to assume that they (the migraineur, not the cats) are a dull, anti-social hypochondriac. I wish I was a hypochondriac (and yes I’ve been called one), as I’m pretty sure it would be a lot less painful. So the biggest misconception I would like to dispel is that migraines are a psychological disorder. They’re not! You see a NEUROLOGIST when you have migraine, not a psychiatrist or a counselor. Migraines involve complex neural chemical and vascular changes, in the brain and - cue Elgar’s Cello Concerto played by Jacqueline du Pré to heighten emotional intensity - it actually upsets me that I still feel compelled to defend this point to friends. Why is it that if you have a headache, especially a migraine, people think you’re highly neurotic? Maybe I’m overly sensitive on this point but I am not depressed. Yes, stress can trigger migraines for some people. Yes, there are studies that suggest people with migraines are more prone to depression. Yes, I get blue now and then, I think I have reason to do so, but I do not have a depressive personality. Really I don’t. And this has actually been a blessing and a curse in relation to the treatment I have received. In 2005 I saw a supposed pain specialist, not a migraine specialist, and he wrote TWO letters to the group of doctors I was consulting saying: “Miss Saxton always appears well dressed, polite, smiling and shows no anger at her condition. I find this surprising. I therefore suggest her condition is psychological”!!!! I’m sorry that my good manners and impeccable dress sense stopped you, Mr Pain Specialist, from diagnosing chronic migraine, damaged nerves and a spine fracture!! So always remember to be rude and dress like a homeless person when going to the doctor! Anyway, I shall talk about this special doctor, who is a big offender of migrainism, in another blog. With the above in mind you will now appreciate why I (nearly) made a trainee GP cry. The other week, when I arrived at my local GP surgery the receptionist asked if I minded seeing a trainee GP before seeing my actual GP. Oh, I did not mind at all. It would only take 5 minutes, she said. The receptionist led me into the treatment room and immediately I saw my chance to educate this poor, sweaty, naïf trainee. In fact, I saw my chance to even the playing fields with all the patronizing doctors I had ever seen. I could get this one while he was young. He looked about 13 and had a limp handshake. I decided to take charge. “Hello, do sit down” I kindly instructed trainee “Now do you have a pen and paper? You’re going to need to make notes”. He looked like Bambi caught on the M25 in rush hour. I can be quite scary and bossy when I decide to be. “That’s not important young man. 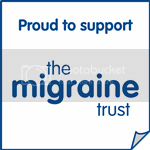 I’ll present you with my full case history in a moment but first I’m going to educate you about something called migraine – and if you really have what it takes to be a GP, it will be the most common neurological condition you will see. Now am I right in assuming you weren’t properly taught about migraines at medical school? Of course you weren’t! So let’s start with….” And off I went. And on I went. I stood up and strolled around the room doing my best impression of Professor Snape. At one point the receptionist knocked on the door to say the GP was ready, I shut the door in her face saying we hadn’t even got to second line treatment options. I knew time would be tight so I started talking double speed, I told poor trainee about Triptans, the pros and cons of Beta Blockers and when I noticed he was looking a bit peaky asked if he needed a glass of water. This then reminded me that dehydration was a key factor for migraine sufferers. Telling him I didn’t mean to be patronizing (which of course one always does) I suggested that at this early stage in his career it would probably be best if he simply referred patients with suspected migraines to the many specialist clinics I had just listed, as he could learn from the many excellent neurologists I had also just listed. It wasn’t his fault he was so young, he would learn over time, the important thing was…. And just as I was about to get started anew my actual GP appeared, looked rather annoyed, and said she’d been waiting for over 30 minutes. I, however, smiled proudly at my trainee, eager to see him show off his newfound knowledge. I felt confident I had done a great service to future migraneurs who would walk into his office in years to come. It did not, at that moment, occur to me that I had so freaked out the poor trainee he might decide a career in carpentry would be far less stressful than medicine. However, we moved to my actual GP’s office, she talked a little about the process of training a GP and, assuming I was now trainee’s unofficial tutor, I said I thought he showed great potential, great ability to listen and take notes, and would do well over time but could, perhaps, assert a little more confidence. She then turned to trainee and said “So, why is Victoria here today?”. Trainee looked at me, horror struck, the poor boy hadn’t gotten a chance to ask this vital question. But I was there for him. Just in case you were wondering, my lecture/neurotic rant did not put trainee off the medical professional. A few weeks later I was walking past the GP surgery and I saw trainee and GP walking out, happily discussing something. I hid behind a tree. The latest statistics from The World Health Organisation suggest medical students only receive four hours, total, of training in headaches. I’m going to investigate this further and report back. Maybe I could offer my services! p.s. I think that in line with your opening blog a photograph of one of the nurses would give your blog a good theme rather than the doctor. I had been going to post the picture of Barbara Windsor in a barely there bikini but decided it would be irresponsible to raise people's blood pressure so early on a monday morning! I just wanted to say a massive thank you for starting this blog. After having a really awful run of migraines in Feb I was starting to feel really down about it all (after a period of right....let's try this and this and this and feeling awfully motivated). Last time I went to see my GP they made me cry by being so unsupportive and refusing to refer me back to the neurologist (oh and then offered me the implant...I HAVE MIGRAINES DUMBASS! 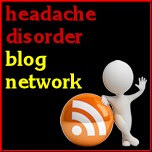 )I've just moved house so have to sign up to a new GP, but after reading your blog, I've just requested an appointment at the national migraine centre. I went there for a migraine action conference and it was AMAZING. I have never felt so supported. Three years ago when I was referred to a neurologist it was amazing...I couldn't believe the GP had been hiding this woman away from me for 4 years who had ALL THIS AMAZING INFORMATION. Back then I hadn't even heard of triptans. I realise that I need to get at the specialist, and stop letting the GPs just fob me off with different meds when they haven't even bothered to listen to my full history. Anyway, I could waffle on and on about my experiences...but I just wanted to say thanks for making me feel suppported again at a difficult time where I really need to not give up! p.s. I also bought the book you raved about - I have a couple of good ones, but always happy for more migraine reads! Don't give up! We'll all get there! Let me know how you get on with the book - it's American so some of the names of the drugs are different and I think Zomig nasal sprays hadn't come out yet in the edition I have but its still my favourite book on the topic...but I just like it as it's not patronising. Also, really really pleased to hear you're going to the Migraine Centre, yay. Wonder who you'll see? I've been made to cry by GPs so many times its ridiculous. Do let me know how you get on! It is really very important to see the right specialists, most GPs just have no idea what to do if you progress beyond getting the odd migraine for a day at a time or have more complex symptoms/auras. I moved across the country and getting the right treatment has been a nightmare and a fight since. Migraineurs are seriously short sold and discriminated against in some parts of the NHS. Hello Annie, oh my goodness. I can not believe how much you're suffering and that you're still waiting for an appointment with a specialist! Just makes my blood boil. I'm assuming you're a much bigger expert than I - so I'd love to know which Neurologists/centres you've seen, though obviously we can't name names on here. I've only just realised you can walk into the Princess Margaret Migraine Clinic at Charing Cross Hospital (my GP wouldn't refer me!!! )- which has several eminent neurologists and has then has access to all facilities of the hospital, have you been there? I know the National Migraine Centre could see you much earlier than 6 months and the new Clinical Director is also connected to Barts so I wonder if that could help get you into the system faster? But again you've probably been there. I used to have migraine associated vertigo and saw ear specialists all over the uk and america, ended up having an inner ear operation, seeing specialists at Charingcross but in the end it was actually my physio who seems to have helped the most by stabilising my neck. I'd love to hear more about your history but appreciate you might not want to share! I also saw the guys at Queens Square - but again found the most welcoming and understanding Neurologists at the National Migraine Centre. I shall keep trying to make you laugh as basilar migraine is no laughing matter. Sorry I've been so long to respond. I just received my appointment yesterday:I'm going to Queen's Square, London to see a neuro-otologist.It will be the first time I've seen one, in fact until this bout I had never heard of them, it's rather sad that my meds had never suggested I see one in the 32 years I've suffered from on/off bouts. We are sorely overlooked a lot of the time. I am feeling very optimistic about this appointment though, I'm not expecting a miracle, just a little more help than I've had to see if I can manage the illness more effectively. I saw a neurologist 15 years ago at St Thomas's who gave the migraine diagnosis that my GP had given me at 16, complicated migraine, migraine with aura, basilar migraine, and I've been to the City of London Clinic for a couple of bouts during the past 6 years. I found that the vertigo was never really paid much attention to then, but things are changing on that front, slowly. When I had the last bout in London (I lived in London for 15 years before leaving for the west country last year)I had an MRI scan, which was fine. But apart from that, the last time I asked for a referral from my London GP around 18 months ago to Queen's Square, she refused. Apparently nothing more could be done to help me, I was told I would just have to get on with it. The biggest problem I've had is getting the diagnosis for the migraine and vertigo connection.It was only in December that I got the confirmed diagnosis of basilar associated vertigo. I've also only now realised that all the accidents I've had over the years are also likely to be episodic ataxia, one of the basilar symptoms. I have a tendency not to see things and walk into them, I also lose moments which I now know indicate a difference in my level of consciousness. I've learnt a lot more over the past 6 months and it has made sense of what seems a chaotic life in terms of health. I have had some pretty good clear, reasonably healthy runs in between chronic phases over the years. I have been able to live a normal life for short periods, then everything comes crashing down again into chronic migraine and MAV. Working is difficult, it's ok for the months you are good,then it's a disaster for the rest of the time and stressful! I've had a few redundancies and lots of job changes, I would say 99% instigated by migraine and mav. My first bad vertigo bout was when I was 12, I woke up, just as I did last September and was not able to move at all without rotational spin which makes you bed bound for a day or so. However, I remember starting to feel dizzy in my final year of primary school, so I guess that was the start of the migraines. My first visual migraine was at 16. I'm now coming up for 43. It's been a long haul! My mother was also a migraineur, every week she'd lose 1-2 days sick all her life. She was also clumsy and prone to accidents, so I suspect she was basilar too and was displaying episodic ataxia each time she fell. She would never have known that though. She thought she was just clumsy as she got to her 40s, just as I have become. I'm keen to get access to a physio as I think they could probably help me a lot, I'll have to see what Queen's Square finds and offers! I need to get more pain free days though, the pain I get in my face, teeth, eye and head are just unbearable at times. I think the face pain is worse than the head pain though, it just makes me want to cry! Still, things will change for me again, they always have done, but this is the worst I have ever been so it's been challenging. I've now given up full time working, I was told not to do it anymore by my ENT consultant. However I'll need to do something when I'm feeling better and of course the income is always needed! Migraine and MAV certainly turn your life upside down on their visiting cycles. Let's hope Queen's Square are ready for the challenge I am going to be setting them!! Anyway, I must also say that the treatment you have received at the hands of your GP just makes me so sad but mainly very angry. Would you like me to send some hate mail or something! The Migraine Trust and the National Migraine Centre, plus leaders like Professor Anne MacGregor are working very hard to try and run training sessions for GP's - so I'm trying to work out how to help with this, i.e subtly leave leaflets in the reception! Experiences like yours are, sadly, all too common but totally unacceptable and inexcusable. We should never, ever, be told to just 'get on with it'. No! As I said before, I used to have vertigo and tinnitus which my physical therapy spinal rehab dramatically helped (but my troubles started with a car accident) but little tricks like keeping my chin tucked in when washing my hair keep dizzy and ear ringing at bay, though that's after years of rehab! Plus never letting blood sugar drop! If Queen Square don't offer you a good Physio do let me know and I'll give you the details of mine, she deals with other Basilar patients. But I know you'll be amazed at all the help you'll get there. I've also realised that we have to do a lot of the leg work ourselves in terms of learning about our condition and the options available because, I think, migraines are so individual to each sufferer so we have to help guide our Doctors in some ways? Anyway, do let me know how you get on! I'm hoping to transfer back to Queen's square myself for some more treatment so may see you there in a waiting room soon! Fingers crossed but I have high hopes for you! I am in contact with the lovely Suzanne. By chance I found her tweeting on basilar migraine on Twitter over Christmas and I introduced myself. She was the first fellow basilar migraine sufferer I had ever had contact with, it's a strange lonely place being a 'basilaree'. It's because of Suzanne that I asked to go to Queen's Square rather than another I had also been suggested to go to. Yes her article was brilliant and great for increasing awareness. My ENT consultant told me that he sees a lot of young people with Basilar migraine and vertigo down here in Cornwall (it was he who I convinced to refer me as I couldn't get a GP in Cornwall and Isles of Scilly PCT to refer me directly - I believe it is to do with GPs self commissioning and not wanting to pay for the referral themselves),it makes me very curious as to how many of us there are...all suffering without the right treatment because of GPs counting their pennies and thinking migraine is not important! You are right, the treatment I have received is unacceptable but all too common. I complained to the surgery I parted company with down here and also to the PCT, they played a game of pass the buck. 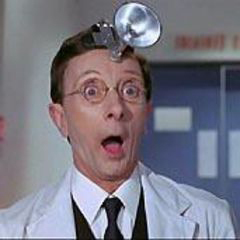 The GP I parted company with advised that I'd had the condition for so long there would be nothing more that could be done for me too, the second lady doctor to give me that line, the other in London! On my request for a referral she kept telling me the PCT would refuse the request, the PCT said that it was not a foregone conclusion at all and the request must be made by the GP, but they still refused to make it. I asked if she felt I didn't have the clinical need for the referral, she said that it was nothing to do with that. However she was very keen to promote private healthcare and that she would refer me that way. She never made the NHS referral so I voted with my feet and let her know what a terrible GP she was. I am quite a determined individual when I'm well, so eventually I usually get things sorted out but I really do fear for others who might not be as confident to challenge. This isn't only about health for migraineurs it's also about livelihood and quality of life. I read of people losing their homes due to not being able to work with MAV and chronic migraine. Without a good GP they are destined to very difficult times indeed and it's about time a lot of GPs became aware of that and that this is no holiday for any of us. You can hear I'm angry about it can't you? lol I try not to get angry, I don't have much energy these days so I try to save it for positive things on my good days but some GPs really do take the biscuit! I have been taking in migraine classifications and associated documents to my new GP (who I must say is very nice, listens and is supportive, but I don't think familiar with MAV/Basilar). Yes, we need to do the legwork and share it with our GPs whenever we can in the hope they will read and remember. It's good that you managed to get your symptoms of tinnitus and vertigo better controlled, I guess that is the best we can hope for, but it makes a huge difference! Washing hair...oh that is very difficult unless showering! I do think my balance is slowly compensating and improving, I had been doing some home VRT which I think helped a fair bit and I do try to be as active as I can on my better days. In a way I'm looking forward to my appointment, I hate and am terrified of hospitals too so that shows the desperation at this point! ;) I'm very hopeful, I'm sure I'll come away with yet even more information to put the ever changing jigsaw of migraine together! I hope you get your referral back there soon and yes, we may see each other there. I love your determination! Go you. And yes, totally terrifying to think of all those without your experience who are suffering. Makes me very angry too - but thank god you're finally going to the right place! I'll be very interested to hear how you get on. So pleased you're in contact with Suzanne. I'm actually hoping to meet up with her for coffee to compare notes! I don't suffer nearly a fraction of what either of you two do - but am quite intrigued by the fact that both of our dramas started with car accidents, and we seem to benefit from Occipital Nerve Blocks. I can't imagine, though, what it must be like living with such continual vertigo. For the relatively brief period when mine was severe it was horrific, having to cling to lamp posts etc so I can't believe you've had to cope for so long. I was about to say we must find each other on Twitter but just worked out that we're already following each other! I won't say who I think you are because, like Superman, you may not want to reveal your true identity but I have responded to a tweet I think you put out this morning. Will be a bit embarrassing if it's not you! Reading your Monologues makes me feel as though there is someone out there who really KNOWS everything there is to know about Migraine. Thank you Victoria - it is so good to read about your desparate attempts to 'Get Well'....as for the letter re: your dress sense...it reminded me of the specialist I visited at The London Migraine clinic who, when writing to my GP, said I was a 'well nourished woman'! What the heck has that got to do with migraine!!? ?